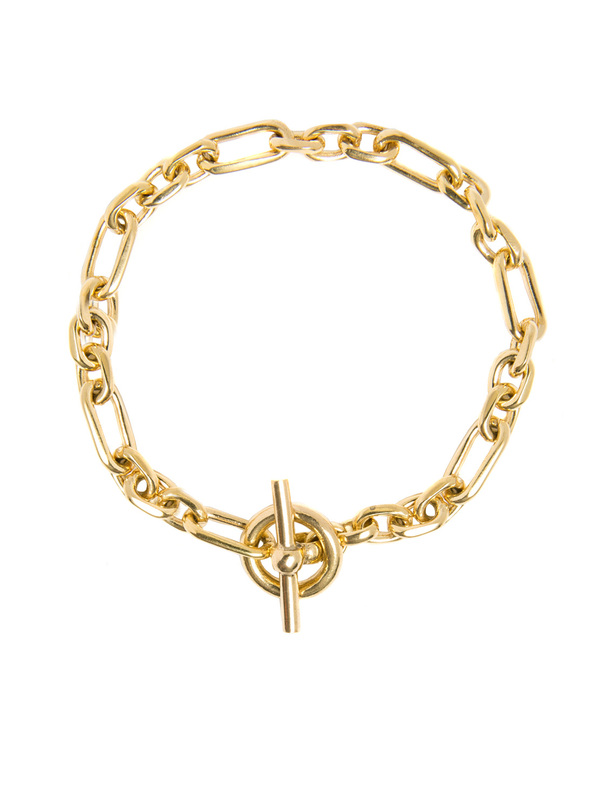 This vintage inspired 23.5 karat gold plate bracelet looks similar to an old watch chain. We love the combination of the antique styled link with the modern T bar clasp. The matching necklace is pretty special too! It weighs 15 grams and measures 19cm in length and 0.7cm in width. To keep your gold shiny we do advise removing jewellery before showering, swimming, exercising or sleeping. We also recommend waiting until your creams and perfumes have settled before putting your bracelet on.